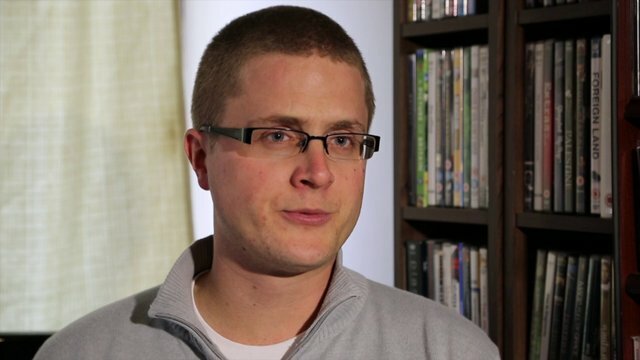 Ben White is a researcher and analyst at Middle East Monitor and Journal of Palestine Studies. He is the author of Palestinians in Israel: Segregation, Discrimination and Democracy and has written for the Guardian, New Statesman and Al Jazeera. This week sees the launch of Israeli Apartheid Week across campuses in the UK and abroad, aimed at raising awareness about Israel’s continuing subjugation of Palestinian people. 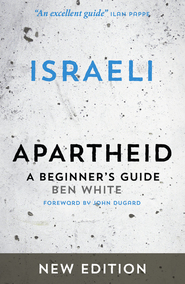 I caught up with Ben White earlier this week to discuss IAW as well as the release last week of a new edition of his first book, Israeli Apartheid A Beginners Guide. Amna Khan (AK): Since the release, in 2009, of ‘Israeli Apartheid: A Beginner’s Guide’, what changes have you made to the new edition and why? Ben White (BW): I wanted to update it because a lot of the statistics and information changed over the period since (it’s been five years since the first edition). In terms of specific changes, I expanded a little bit on apartheid in the introduction because more work has been done on it. I also wanted to put in more material on Gaza because I finished the manuscript for the first edition a few weeks before the Operation Cast Lead bombings started in December 2008. This is obviously a huge event, firstly as a significant massacre and secondly, because it contributed towards a growth in the solidarity movement which I wanted to have reflected in the last section of the book which focuses on helping the reader think about what they can do in response to the apartheid situation. So you have the apartheid introduction expanded, more material on Gaza to reflect Operation Cast Lead and Operation Pillar of Defense, not to mention the general siege and blockade situation. There is also more on Palestinian citizens in Israel, because in the last few years there have been more discriminatory legislation and more targeted nationalistic attacks on them, and lastly the new edition features further discussion about the growth of the global Boycott Divestment Sanctions Campaign. Nevertheless, the basic concept has remained the same, which is to write a book that someone who is coming to the issue for the first time will be able to pick up, understand and read without too much trouble to get an idea of what Israeli policies have meant for the Palestinian people over the last 60+ years. AK: What would you like people to take from the book? BW: One of the reasons I wrote the book was to present a challenge to the mainstream discourse and to remind people that we are not talking about an ancient, tribal conflict or a religious war or a simple “conflict resolution” issue. I would hope that it could be a counter point to what is still a prevalent “two sides” mainstream framing that implies an equality or balance of power that is not there. I would hope that the book is read by students, activists, policy makers and is the kind of book that you would give to a colleague or a friend. AK: Was there a particular reason for choosing to have the word ‘Apartheid’ in the title? BW: I put it in there because I genuinely believe it is a very useful framework for understanding Israeli policies. I point out in the introduction that I don’t think it is necessarily the only useful framework, and that it has its limitations, but I do think it is appropriate and is helpful. I think it also provides a moral urgency to the situation there. It’s not “the Israeli-Palestinian conflict” but a struggle of a colonised people for return, for freedom from systematic discrimination, for the end of apartheid. AK: You talk about the BDS movement in the last section of your book, why do you think BDS has become so successful over the last nine years and why is it important to continue to boycott Israel? BW: It is worth remembering why the framework and strategy of BDS is so important. It is because it has been tried and tested by various oppressed groups throughout history. Which is why we know it has been, and can be, successful when applying it to the Palestinian struggle. The BDS movement puts the focus on Israeli policies, and because of this direct link there can be specific consequences and results that ensue from it. The Palestinian BDS call in 2005 targeted three main elements, which go right to the heart of the Zionist colonial project. These included the right of return for Palestinian refugees, equality and an end to the military occupation. BDS is about ending Israeli impunity; this is directly connected to ensuring Israel is held accountable for its actions in line with international law. We already know that decolonisation from within Israel alone is not possible, this has been attested to by the likes of Israelis such as Professor Ilan Pappe and others, so we know it is not possible for Israeli society to become decolonised without the help of the international community. The fact that the BDS movement is becoming more popular and galvanising more support is generating an impact on the mainstream political discourse. BDS is about doing your research, identifying campaign targets and having a clear aim. We should be creative in our campaigning methods. AK: The international community plays a large role in helping end the occupation. What responsibility do international solidarity activists have? BW: We enjoy significant privilege as solidarity activists but we must remember that we are not the liberators. I want my perspective set not by what someone in Britain says but by the basic demands of the Palestine people for freedom and dignity. Boycotts are strategic and political; they help to isolate and put economic, cultural and academic pressure on the oppressor. People aren’t just going to wake up and stop being racist. We aren’t boycotting to make ourselves feel better, either. By joining forces with others we can bring about effective change through targeted campaigning. This change must come from the people and the grassroots to begin with because governments are always the last to change. AK: What, in your view, have been the most and least effective aspects of the movement? BW: Campaigns must be well-researched, with achievable goals, so as to allow us to apply this to different perspectives. For example, the Dump Veolia campaign was effective because it a) occurred in a lot of different places, b) was connected to specific violations of international law, and c) explained and educated people on the settlement enterprise. However, people do need to have realistic targets and must ensure that they are getting their information and facts right. AK: Many people are still unconvinced of the merits of an overall boycott, but are happy to boycott the illegal settlements; do you think this is helpful? BW: Settlements are only one aspect of Israel’s colonial regime. There is a big flaw in focusing solely on the settlement strategy: the practical flaw is that there is no guarantee you can trace from the label where a particular product truly originates, and in addition, Israel’s economy integrates everything together. People may ask: “is boycotting Israel realistic?”. It is only as realistic as we want to make it. Just take a look at history, from women’s rights to vote to segregation in the deep South. AK: In your book, you talk about the similarities and differences between apartheid South Africa and Israel today. With the recent passing away of Nelson Mandela what can we learn from his legacy? BW: I think that the example of Nelson Mandela can show us a few things. It can show people how our governments can portray people fighting for freedom as terrorists when it suits their interests. It is a reminder to people that we are not necessarily told the entire truth. The struggle against South African apartheid is a story of courage, steadfastness and sacrifice on the part of the colonised people themselves. And of course it is a reminder of the role of international solidarity in supporting an oppressed people in a struggle that was ultimately victorious. We are also reminded of the time scale involved: the struggle against apartheid in South Africa both by, primarily, black South Africans but also within wider international solidarity efforts, did not get done in a year. AK: Many argue that the US-led talks will bring peace and change between Israel and Palestine. Do you think that the current talks can realistically bring any peace, justice or change on the ground? BW: The US-led international peace process is unable to bring about a positive, long-term change because it is based on what the U.S. feels is Israel’s best interests. The peace process is meant to replace international law rather than implement it, it is designed to shield Israel from accountability because Israel’s routine violations of international law and international humanitarian law are not considered punishable or sanctionable, they are deemed to be part of what the two sides have to “eventually sort out”. The peace process is also designed to maintain Israel as a Jewish state in the majority of historic Palestine and, as such, is unable to provide a legitimate and satisfactory answer to the Palestinian refugees’ right to return to their lands. The negotiations consider the Palestinian people as inferior because they don’t afford them the same rights. Israel is deemed to have legitimate security needs but the Palestinians do not. The right of Palestinian refugees is trumped by Israel’s demand to maintain a Jewish majority. The only thing that can produce real change is pressure on Israel in a way that makes the status-quo unsustainable. This can be pressure from the Palestinian people themselves, which can materialise in different forms. It can also be pressure from the outside, which could be regional or from those countries that, until now, have supported Israel diplomatically, economically or militarily. As such, it must involve stopping this special treatment Israel has been receiving. AK: Thank you for talking to Ceasefire. More information on Israeli Apartheid Week can be found at the official website.